Steven S. DeKnight is an American screenwriter, producer, and director who has become heavily associated with action-packed pop culture properties. He is most known for his work on Starz’s Spartacus series, but has also written episodes for Buffy the Vampire Slayer, Angel, and Smallville. Since the end of the Spartacus series, he has taken over as the showrunner for Marvel’s Daredevil. Now he will be making his feature-film directorial debut with Pacific Rim Uprising, which will be released in theaters on March 23, 2018. Screen Rant got a chance to talk with Steven S. DeKnight on press day, where we discussed where he drew his inspiration from to work on the film, how he transitioned his knowledge from working in television to the big screen, and whether or not we’d see Raleigh Beckett return to the Pacific Rim Universe. Screen Rant: I love this franchise. I’m so happy that you’re a part of it now. SR: You did it justice, man! Did you take any inspiration from mech-based shows like Gundam or Robotech? Steven S. DeKnight: Sure, I mean, I took inspiration from everything I grew up loving. I’m really a child of the late ’70s, early ’80s, so for me there’s a lot of Ultraman, Space Giants, Johnny Sokko and His Flying Robot, and – of course – all of the famous man in a suit monster movies that I just loved. So, everything, I threw it into my blender, my subconscious blender. And, more than anything, I wanted to take all of that and make a movie that I would have loved seeing back in that era. I know in the first movie Guillermo always talked about he made the movie for the eleven year old inside of him, and my eleven year old was sitting right next to Guillermo. SR: Now you were also a writer on this film. So, can you talk to me about writing for such a scale. Because this project has a lot of VFX and its a big scale. So can you talk to me a little bit about that process? Steven S. DeKnight: Sure. The writing process, I approached it very much like writing for television. One of the first things that I did when I was hired is I told Legendary, “Look, we don’t have a lot of time to do this. I want to put together a writer’s room like TV.” So we put together a writer’s room for two weeks with half television writers and half feature writers. Steven S. DeKnight: Yeah. And I had, like, an eight page outline for the story, but there was a lot to be worked out. 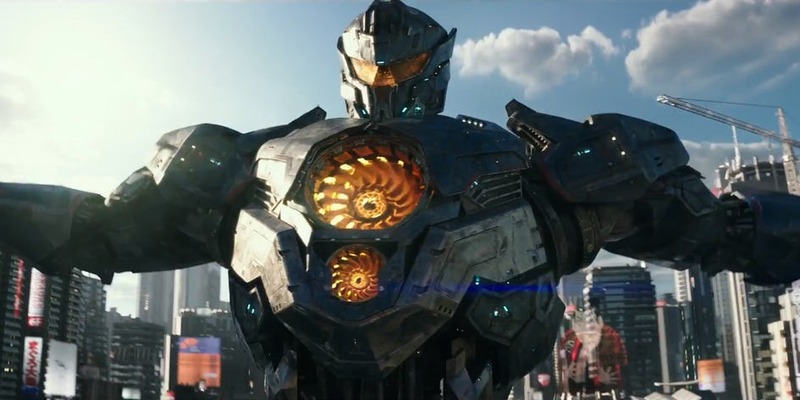 So, for two weeks, they helped me work out the story and name the Kaiju and name the Jaegers. We spent two days just on that. SR: I mean, you helped shape the landscape of television, genre television especially with Smallville and Spartacus and Daredevil for the past decade or so. So how was it transition that to this big blockbuster motion picture? Steven S. DeKnight: My experience in TV was invaluable in directing this movie. I took everything I learned from writing and directing and producing in television and applied it to this movie. This movie was basically the same as doing that, just times 100. It was everything was just supersized. 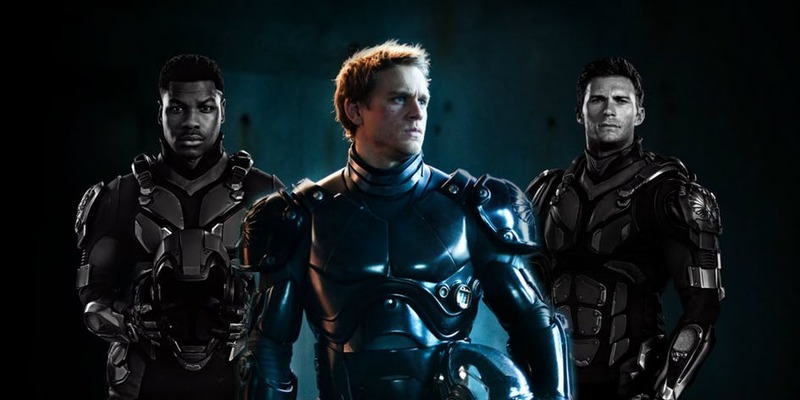 SR: Now Charlie Hunnam isn’t back in this one but, if you were helming the next one, do you think there’s room for his character’s return at all in the Pacific Rim universe? Steven S. DeKnight: Absolutely! Charlie Hunnam and I sat down and talked about this movie. We actually wrote an entire script with Raleigh Beckett as the main character. Steven S DeKnight: I turned it in. Everybody loved it. 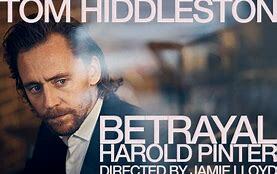 The next day it was announced that he was doing the remake of Papillion that show at the exact same time we were and I know it was a passion project for Charlie. I love Charlie and I would love to work with him and there is definitely room in the franchise to bring him back. SR: Now I know you did a lot of work on Smallville. Superman hasn’t quite hit his stride on the big screen. What kind of story does it take to get the fans into that movie again? Steven S. DeKnight: Superman is one of the hardest characters to write for. One of the brilliant things about “Smallville” it was all about Clark. He wasn’t Superman yet. Superman is very different from Batman. Batman is this dark, psychologically messed up guy. Superman’s the man we all aspire to be. He’s inspirational and to try to find the human side of that, not to mention he is so powerful, it is harder to relate to him. So, it’s very, very difficult. I actually really like what Zack Snyder has done with the character. It’s a super hard, very tricky character to do. And, like I said, if we were doing on “Smallville”, if he were Super Boy on “Smallville”, I don’t think it would have worked.